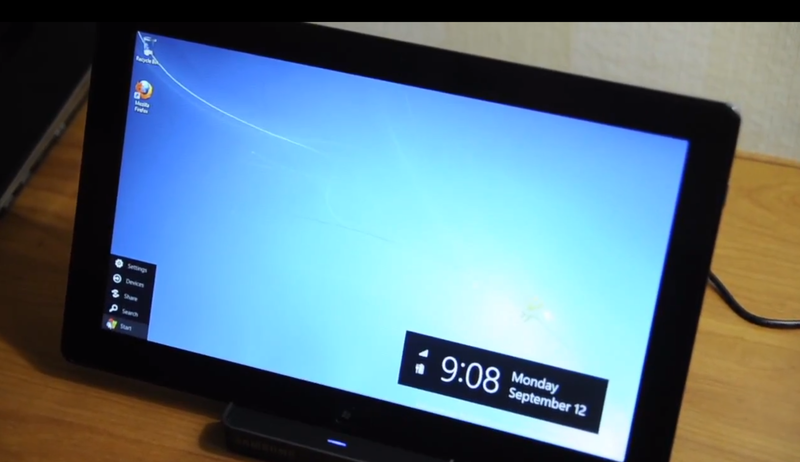 Windows 8 on tablets shows off the worst and the best of what Microsoft represents. A slavish amount of attention to backwards compatibility lives right alongside a bold, and most importantly unique, vision for the future of Windows on tablet computers. With numbers like that on the line, Microsoft simply cannot afford to divest itself of the trappings of its past all at once and alienate hundreds of millions of customers, nor should it. It’s just not a practical course of action. At least it isn’t on desktop or laptop machines. With the introduction of a version of Windows that acknowledges the world of modern tablets, Microsoft had a chance to make a break with its past in order to offer its customers the best experience possible on a platform that is still in the process of being born. Instead, Microsoft has included the traditional Windows desktop, along with the newer Metro interface that it has brought over from its Windows Phone 7 devices, in every tablet. From what we’ve gleaned from our sources at Microsoft and the statements made at BUILD, much of Microsoft’s strategy is still in flux at this point. So, we’ve spoken to sources at Microsoft and developers around the web who attended BUILD and we’ve come up with a few plot points that we feel Microsoft needs to focus on with Windows 8. Please note that we are all about Windows 8 on tablets here today, the future of Windows 8 on PCs is a discussion for another day. According to the official party line coming out of Microsoft, every Windows 8 tablet will be capable of running the standard Windows desktop as well. This application runs as an app, launched from the Metro interface. That means that you cannot ‘boot’ to a desktop. This is said to be true of ARM or traditional tablets like the Intel i5 powered Samsung tablet handed out at BUILD. You have to fire up Metro and tap the Desktop app to launch a traditional Windows experience. This is great, as the hierarchy demonstrates that Metro is Windows and the desktop is an accessory that can be used if needed. Only it turns out that it is not quite that simple after all. There are still many settings that can only be accessed via the Desktop app’s control panel app. Yes, you heard right. An app within an app is controlling settings that take effect system-wide, affecting the functionality of the hardware regardless of the fact that you’re just running a Metro app. This screws up the hierarchy we were just talking about big time. This is something that needs to be addressed as soon as possible, because it pokes all kinds of holes in the theory that Windows 8 on tablets “is Metro” and that the Desktop app is “just” an app. It’s obviously an app with some very special privileges. But let’s say that all of those settings will eventually be integrated into the Metro settings section and that any of the settings available in the Desktop app will, down the road, only affect the Desktop app itself. I mean, it couldn’t stay this way right? So confusing. This is just one example of how confusing having the standard desktop available could be. Honestly, if you watch any walkthrough videos, like this one from Anandtech, it shows just how much Metro is made to look like a fancy shortcut app that runs on Windows 7. That’s not to say that having both Windows 8 and Metro on a tablet isn’t cool. It’s very cool actually and it will be an incredible boon for app developers working with these tablets. But ‘regular’ consumers aren’t developers. Increasingly we’ve seen evidence of the fact that a focused, ‘on-message’ interface is being preferred by end users. Just look at the success of the iPad. People’s lives are busy and filled with stimulus. When they choose a tablet, they’re choosing to be able to navigate a beautiful and responsive interface that gives them near-immediate access to applications or the Web. Microsoft isn’t completely lost, it actually has some relevant experience in this with Windows Phone 7 which, despite its stupid name, is a fantastic mobile OS and honestly one of the best options for consumers today, speaking only of software. It’s hard to name any Windows Phone 7 hardware on the market that is truly striking yet. Metro looks very interesting so far. It’s different, it’s bold and it already has an iconic tinge about it. There are a lot of design inconsistencies and wasted ‘white’ space that will probably be tweaked before we see any official hardware, but it’s very good. And then there is the Desktop app, which is Windows 7 scrunched into a tablet. It’s crap, especially when using it with touch. Honestly the best thing that Microsoft could do for itself here is to limit the appearance of the Desktop app at all to a special subset of tablets. Call them ‘Windows 8 Pro’ or whatever you must, but keep them out of the hands, and more importantly, the minds of the majority of consumers. Metro is looking really good. But it is in danger of having its focus and direction subverted before it even starts due to consumer confusion and platform compromises. What compromises threaten Metro so early in the game? Here is where that 350 million units rears its ugly head again. Metro apps will run on any hardware, but what about “Windows” apps? 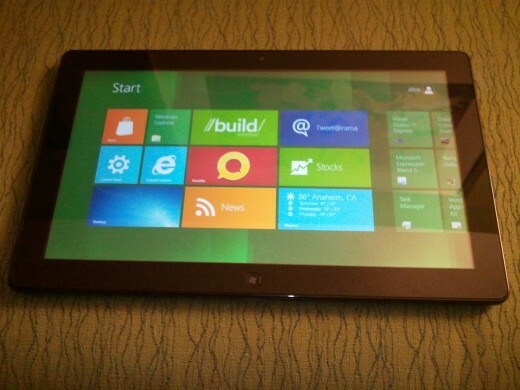 When a developer creates a Metro app, there are tools provided by Microsoft that will allow it to run on any hardware that they will offer in a tablet, whether it be ARM, Intel or otherwise. These Metro apps will be available in the Metro store, and the early scuttlebutt is that they will only be available in the store, with Microsoft taking a similar 30% cut to Apple for distribution. This is all to be expected, but what about ‘traditional’ Windows apps? At this time it’s looking like they will absolutely have to be recompiled, but there is no clause that they be re-written to take advantage of anything that makes a tablet special. This means that there are no guidelines in place for those looking to bring their apps to the Desktop interface on a tablet. Instead, the path of least resistance is left open for them to simply recompile their apps and dump them onto tablets. In fact, these applications will be able to be installed outside of the Metro store, introducing an actual incentive not to produce a clean, efficient Metro app in that they will not be subject to the 30% cut. This is opening a huge door for thousands upon thousands of crappy ports of apps to land on tablets using the Desktop app as their loophole. If Microsoft had simply laid out a plan whereby it would allow any Windows app to run on absolutely any hardware besides tablets, where Metro apps were required, this wouldn’t be a discussion. But, once again, it can’t. 350 million users are already using Windows apps. Tens of thousands of smaller developers and massive development houses like Adobe would be effectively cut-off unless they got their act together. Microsoft has chosen to err on the side of the market, potentially diluting their product for the sake of share. There are not (yet) any guides or mentions whatsoever about ways for developers to port their apps to the Desktop interface on tablets while optimizing the interface. Conversely, Microsoft has an intense amount of guidance available for those that are looking to build Metro apps. They have videos, guides, several information-rich keynote sessions that are available online and extensive demonstrations of the way that Metro apps should look and feel. The difference between the two approaches is pretty self-evident and will hopefully change as Microsoft moves forward with its tablet initiative. But, knowing the Microsoft of the past, I have my doubts. It would be just like Microsoft to come up with something cool and interesting, just to throw it all away to serve the legacy user base. Microsoft was careful to stress that the biggest opportunity for developers was Metro apps, in that they would be available on all devices and would be part of the flagship wave of apps that would represent the platform as it was introduced. But they are effectively suborning the Metro experience by leaving the Desktop app loophole open. It must be closed, and firmly, if the Windows 8 tablet is to succeed. The Metro evangelism is incredibly refreshing to any of us that have used Windows Phone 7 to any degree, as it has been screaming for a tablet implementation since day one. Not only that, but Microsoft seems to have been incredibly thorough and aggressive about promoting Metro, especially for tablets. But the Metro cake is filled with standard Windows desktop filling, and it has the potential to derail this evangelism right out of the starting gate if Microsoft doesn’t take a firm stance on how and when standard apps are allowed to run on tablets and start concentrating on the next 350 million.